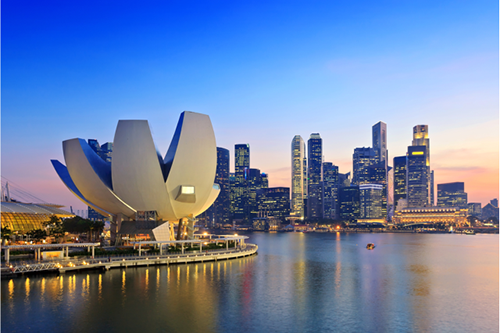 Located at the very southern tip of the Malay Peninsula, Singapore is a unique country. While it’s small, it is full of personality, history, and culture. In the past, it has been ruled over by a variety of different nations until its independence in 1965. Today, Singapore still has strong influences from Malaysian, Indian, Chinese, and Arab cultures, which blend together to form the unique culture of Singapore. While Singapore is a country, it is the size of a large city, making it easy for tourists to navigate and experience as much as possible. Singapore has lots of beautiful architecture, shopping, nature, nightlife, and an incredible food scene that fuses together the different cultures of the country. With Singapore holiday packages, you can take full advantage of everything that is on offer in Singapore without breaking the budget. Singapore accommodation and flight packages bundle together your travel expenses, saving you up to several hundred dollars. Webjet will do the work when it comes to finding your hotel and flights, so you can focus on planning the activities you want to do in Singapore. Booking Singapore holiday packages is perfect for families or small groups of travellers who don’t want to spend too much. Singapore’s Changi Airport (SIN) receives all flights into the country and is located 18 kilometres (11 miles) east of the city centre. Within the airport, there are four terminals and lots of airport amenities to take advantage of. Travelling from Australia, you can fly to Singapore on a variety of airlines, including Virgin Australia, Qantas, Singapore Airlines, Scoot, AirAsia, and Jetstar. Direct flights to Singapore are available from Sydney, Melbourne, Brisbane, Adelaide, Perth, the Gold Coast, and Darwin. Flights from the east coast will get you to Singapore in about 8 hours, flights from Perth arrive in about 5 hours 15 minutes, and flights from Darwin arrive in about 4 hours 30 minutes. Throughout Singapore, there are hotel options that range from budget to luxury. Many Singapore hotels are located inside high-rise buildings and reward guests with great views of the city. Hotels in Singapore often have modern designs and western comforts with traditional Singaporean touches. The Elizabeth Hotel offers modern day comforts alongside traditional Singaporean style. Over the years, Singapore has seen significant influences from Europe, and much of its architecture bears a colonial style. The Elizabeth Hotel has a European feel with beautiful details throughout. The Elizabeth Hotel has easy access to the popular shopping destination Orchard Road and located close to the MRT, which will take you into the city’s Downtown. Amenities in the hotel include an outdoor swimming pool and a fitness centre. The Shangri-La hotel chain is known around the world for its beautiful designs and luxurious atmosphere. The Shangri-La in Singapore is no exception. Located on Sentosa Island, the resort has access to several beaches and offers from gorgeous views. Within the hotel, there are six restaurants, a swimming pool, a spa, and a children’s club. Guest rooms offer an upscale design, and many offer gorgeous views of the ocean. The Harbour Ville Hotel is a great budget option in the heart of the city centre. Rooms offer a modern and sleek design, and with prices starting at just $90 AUD, it’s a bargain. All rooms include an en-suite bathroom, free WiFi, and air conditioning. Within the hotel, you can enjoy a gym, outdoor patio, and discounts for some of Singapore’s top attractions. The Harbour Ville Hotel is located right next to several MRT stations and is within walking distance of many spots around central Singapore. Singapore is a tiny country that is more like the size of a large city. It is located right at the bottom of the Malay Peninsula, and blends together several different cultures. Since Singapore is so compact, it is easy to explore every corner of the country when you visit. Singapore’s city centre is located on the large Marina Bay, around which you get spectacular views of the city’s skyline. Surrounding the bay, you’’ see some of Singapore’s top attractions and lots of historical and government buildings. The area around Marina Bay is a great place to learn more about Singapore’s history and culture. Located right beside the bay on the Singapore River, Clarke Quay and Boat Quay are home to some of Singapore’s top restaurants and bars. Right off the coast of Singapore is a small island called Sentosa Island. There, you’ll find many of Singapore’s resorts as well as theme parks, history, and beaches. It has something to appeal to all different types of visitors. The island has several coastal walks and hikes, a fort where you can learn about Singapore’s involvement in WWII, and lots of beachfront food and drink spots. You can reach Sentosa Island by cable car, monorail, or by walking across a boardwalk from the city centre. One of Singapore’s top attractions only opened in 2012. Gardens By The Bay are made up of a variety of gardens where you can see plants that are native to the region. The most popular spot in the gardens is the Supertree Grove, which is made up of large trees covered in purple lights. You can walk across bridges that go through the Supertree treetops, offering a great view. At night, the Supertrees glow in an impressive light show. Also within the Gardens By The Bay, you can visit the Flower Dome and the Cloud Forest. The Flower Dome features plants from all different climates, and within the Cloud Forest, you can see tropical plants, an indoor waterfall, and walk through the clouds. Singapore is a busy and exciting city, but head outside of the city centre and there are plenty of natural areas you can visit as well. The Botanic Gardens are a popular spot among both tourists and locals when they want to connect with Singaporean nature. To get there, you can catch the MRT subway from the city centre. Several gardens are located within the Botanic Gardens. The Evolution Garden displays plant life through the ages, from the time the earth formed until today. Within the Healing Garden, you can experience plants that are believed to improve various illnesses and pains. The National Orchid Garden is the most popular and features a wide variety of beautiful orchid flowers.